What a joy to be with your family around a good fire after a cold March day of playing in the freshly fallen snow. On the other hand, in the case of a condominium building, this small moment of family relaxation can quickly turn into a serious problem for all of the co-owners. During our many expertise cases, we noted that several condominium buildings with fireplaces have a non-compliance with fire protection requirements, i.e. the use of a common vertical engineering void for chimney flue passage. Read our article to learn more about this non-compliance and what steps to take to get back to enjoying your home safely. First of all, let us paint a clear picture of the situation. 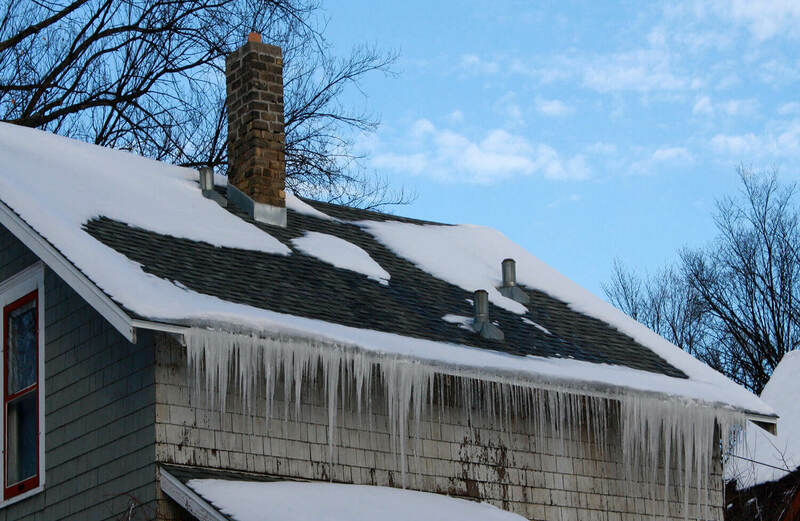 Condominium buildings containing units with fireplace must naturally pass the chimneys all the way to the roof. To do this, the chimneys circulate inside the walls in so-called vertical voids. 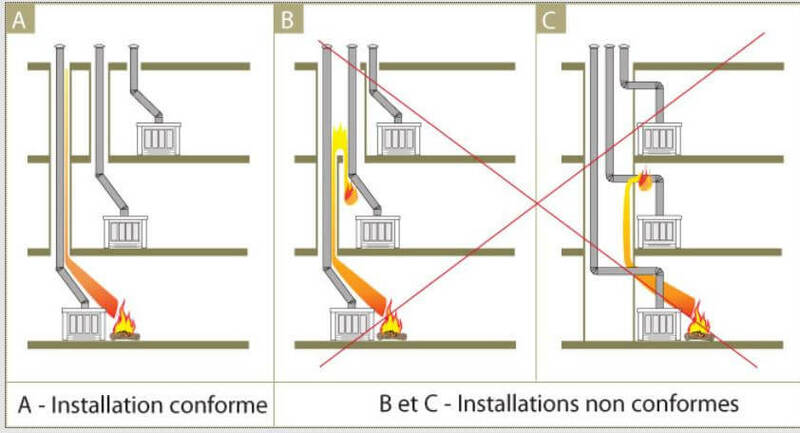 According to the Quebec Construction Code, each chimney must circulate in a separate void to maintain the integrity of fire separations between units. 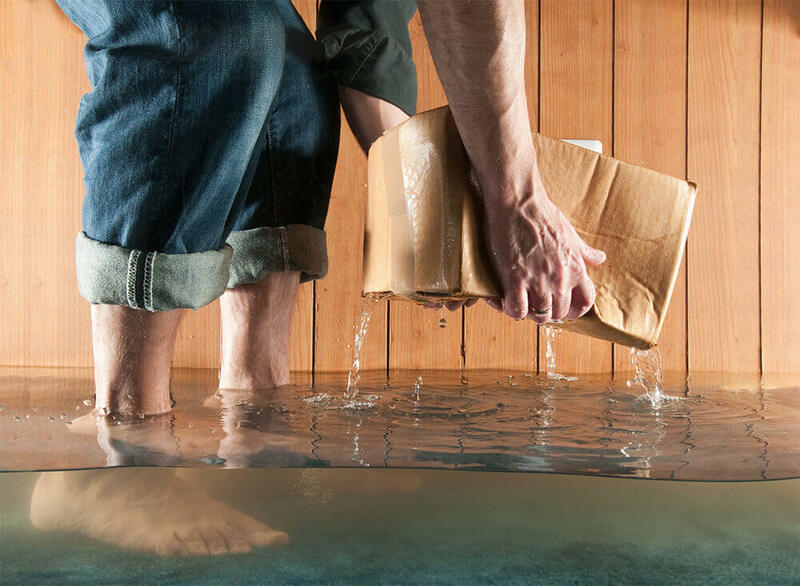 A fire separation represents all the ceilings, floors or walls that separate the units from each other and from other uses of the building in a watertight manner. Fire separations shall be constructed in such a way as to constitute a continuous and watertight element. This will slow the spread of flames and smoke if a fire breaks out in any of the units. The main problem encountered in the condominium buildings visited during our many expert appraisals is the use of a common technical void for the passage of several chimneys to the roof. This method certainly saves space when designing the living areas, but from a fire protection point of view, this situation is considered dangerous. Indeed, the use of a common technical void makes it impossible to compartmentalize the suites, because each breach created by the passage of chimneys through the walls of the technical void breaks the continuity of the fire separation. 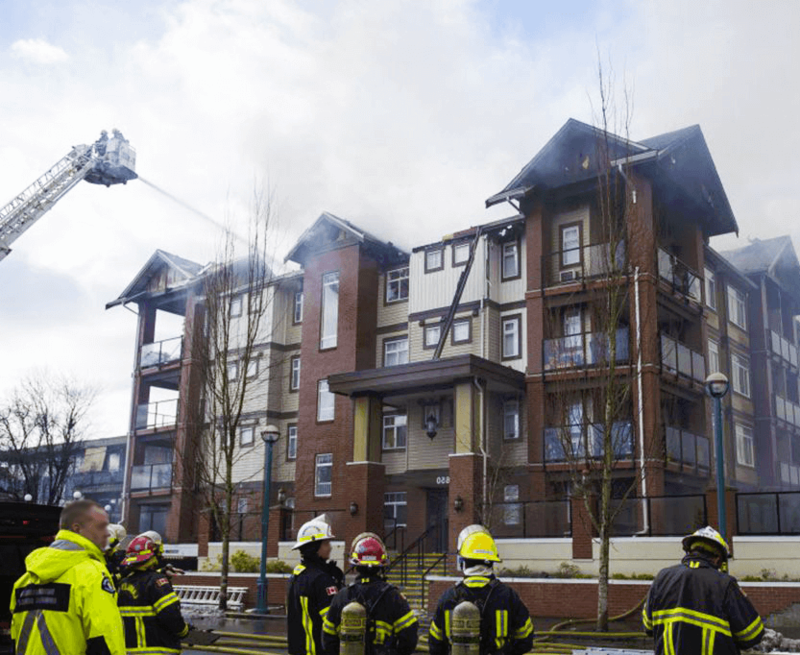 In practical terms, this means that if a fire starts in a ground floor unit, for example, the flames and smoke will not be delayed as effectively and will reach the other units more quickly. This rapid spread puts the lives of occupants throughout the building at risk. The image below published by the Régie du Bâtiment du Québec (RBQ) clearly demonstrates the impact that the use of a common technical void can have in the event of a fire. It should also be noted that in the vast majority of our fire prevention expertise cases, the main non-compliance of the problematic situation does not concern the fireplace or its chimney, but rather the airtightness of the fire separation between the dwellings. To bring the situation into compliance with the Building Code, two options are then possible: to correct the integrity and continuity of the fire separation or condemn the fireplaces altogether. It is important to note that simply stopping using the homes is not enough to make the situation safe and compliant. The reason for this is quite simple: the source of a fire is not limited to the fireplace alone. A fire can also be triggered by the use of the stove or a forgotten candle, for example. In such cases, inadequate fire separations will not be more effective at containing flames and smoke, resulting in equally severe damage. So while it is certain that a fireplace is greatly appreciated when the cold winter weather strikes, safety must always be kept in mind. The chimneys of these warming fireplaces must therefore circulate inside separate service spaces to get to the roof. If these voids are common, they represent a risk to the safety of the occupants. 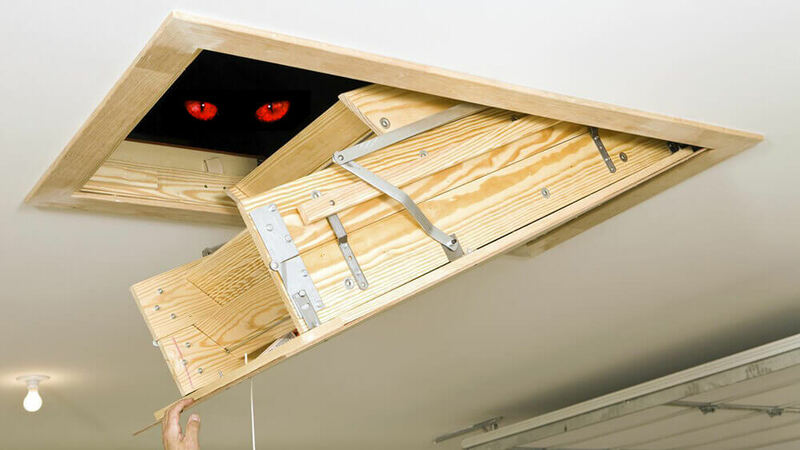 If you have any doubt, we invite you to call on our fire prevention experts who will be able to inspect your installations. And, in the event of a possible problem, will be able to assist you throughout the process towards compliance. Contact us by email, through our online chat or at 514-286-0550. Mold in the attic: 3 signs visible from the outside! Does the area where your home is located has an impact on your health ? Cave or house: air quality problems are as old as the hills! Take advantage of the knowledge acquired by our experts over the years! previous post: Does the area where your home is located has an impact on your health ?